The more you know about Whitney Brothers, the more you’ll understand that our commitment to build the finest educational wood furniture for children is more than just a goal – it’s our passion. From the Industrial Revolution in 1904 to the present day, Whitney Brothers’ products have delighted and inspired children to learn in homes, schools, childcare centers, Head Start facilities, libraries, and museums throughout North America, Europe, and the U.K. We invented the product categories we operate in. Our rich, 110-year heritage of old world craftsmanship blended with state-of-the-art CNC manufacturing technology creates innovative products of uncompromising quality, design, safety, durability, and value. Every product we manufacture is GREENGUARD Gold certified, backed by a limited lifetime warranty, and proudly made by us right here in America. We’re confident in the superior value of our products; and you can be, too. All of the products that we manufacture are tested either internally, in house, by our engineers or by a third-party laboratory. Before any product leaves us, it must pass our own 45-point safety inspection that far exceeds CPSIA standards. You see, at Whitney Brothers, our philosophy is simple. We set higher standards of design innovation, quality, and value – because we believe our products should delight generations of children. To over five generations of loyal customers, we say thank you for buying Whitney Brothers early learning products. Whitney Brothers WB0196A 10-Section Children's Wood Coat Locker - 60 1/2" x 14 3/4" x 48"
Whitney Brothers WB0240R Children's Wood Alone Zone with Book Storage - 23 1/2" x 27 1/2" x 48"
Whitney Brothers WB0250P Children's Wood Reading Haven with Whimsical Cut-Out Design - 50 1/2" x 43" x 33"
Whitney Brothers WB0285R Children's Wood Rolling Art Cart - 29 3/4" x 24 1/2" x 33"
Whitney Brothers WB0909T 9-Tray Children's Wood Storage Cabinet - 40 1/2" x 18" x 27"
Whitney Brothers WB0912T 12-Tray Children's Wood Storage Cabinet - 40 1/2" x 18" x 34 1/2"
Whitney Brothers WB0915T 15-Tray Children's Wood Storage Cabinet - 40 1/2" x 18" x 42"
Find the perfect chair mat for your specific work environment with ES Robbins! 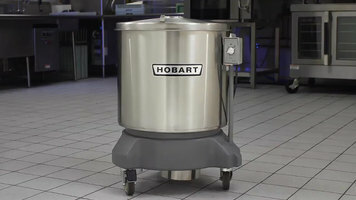 The Hobart salad dryer is essential to any lettuce crisping process, and can even reduce your salad dressing cost by as much as 15%! Watch this short video to learn how. 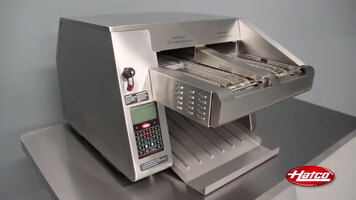 To keep toasting perfect bagels, breads, English muffins, and more, your Hatco Intelligent Toast-Qwik conveyor toaster should be cleaned daily and monthly. Watch this video to learn about these two cleaning processes.